The hormone melatonin in its natural state is a key ingredient in the sleep-wake cycle. When your body’s biological clock is in sync with the natural rhythm of the world your melatonin levels increase and decrease along a 24-hour cycle and largely in response to changes in the natural light. This 24-hour cycle is called the circadian rhythm and governs much of the animal world. What happens when your natural melatonin production is thrown off course? What if your brain fails to respond to the natural rhythm of light and dark so you can go to sleep? When daylight begins to fade your eye’s retina delivers messages to your brain’s pineal gland – visual cues – which in turn increases melatonin production, the hormone that sets you up for sleep a few hours after dark sets in. However, for many people who suffer insomnia symptoms, the natural levels of melatonin seem to be absent or delayed. 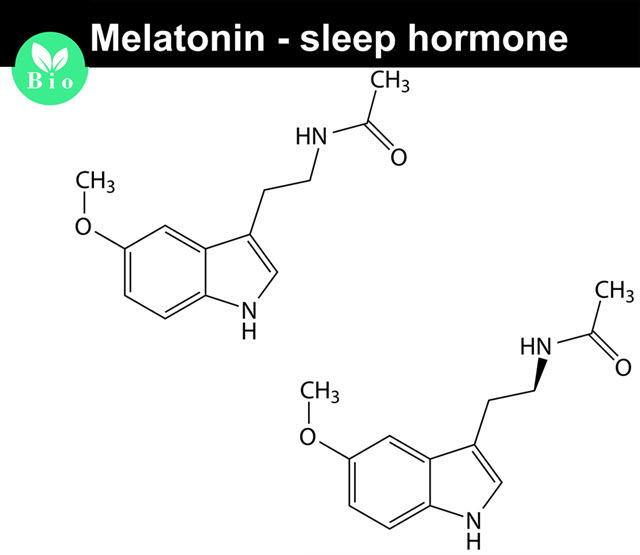 When melatonin is not being produced you are less likely to get drowsy before bedtime, may have difficulties falling asleep and your melatonin levels may fluctuate to also cause middle of the night insomnia. Synthetic melatonin is being used to treat insomnia as an alternative to prescription sleep aids like Ambien, Lunesta, and Rozerem. Supplements are available over-the-counter and may help relieve common insomnia symptoms. Melatonin use may offer more benefits than already known. The hormone is quite effective at helping overcome symptoms of sleep disturbance, especially sleep onset or difficulty falling asleep. Synthetic melatonin mimics the natural process in your brain which can help you get the sleep you need, thereby putting your natural sleep-wake cycle back on its proper course. One particularly vulnerable population for suffering insomnia is the elderly. A range of factors can cause age-related insomnia not the least of which is a reduction in melatonin production. Other hormonal changes as well as medical conditions can also hamper your body’s natural forces. Synthetic melatonin is relatively safe for use and can even be used long-term. This is good news since many of the best prescription sleep aids are only FDA-approved for short-term use. Common side effects of melatonin supplementation include: dizziness, daytime drowsiness, and headache. Confer with your physician before beginning melatonin supplementation and discontinue use at the first sign of adverse effects.